I am seeing a lot of commentary from Trump supporters arguing that the criminal charge that Michael Flynn pled guilty to, lying to the FBI, is a weak one and that he may have been tricked into lying without the benefit of legal counsel. This may be true, however, it misses one big point, we don't know what else special prosecutor Robert Mueller had hanging over Flynn's head. If all he had was the charge against Flynn of lying to the FBI, then it isn't much. But what needs to be remembered is that this was a plea deal that presumably resulted in reduced charges and that charges against Flynn and his son could have been much more severe. 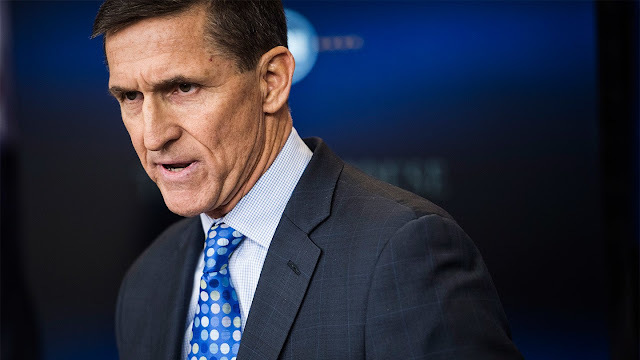 And if Flynn can provide significant dirt as to what went on in the White House, it is possible that Flynn escaped major charges that were much more serious. Trump supporters are looking at the plea from a one dimensional perspective that is likely to prove to be a significant error. Have you been following this case closely? Mueller's entire case has been compromised. Strzok is just one bad actor, but he was central - interviewed Flynn (at this point, even his report of the interview and alleged lying charge is suspect), perhaps he is the one who even made the FISA application based on the phony dossier. Then there are the other Dem partisans, including Andrew Weissman, who has a horrid reputation for bad conduct. Not to mention Mueller's own conflicts, including his relationship with Comey and role in Uranium One. The entire FBI management (as well as DOJ) are going to need to be investigated and their house must be cleaned - well before anything is going to stick in any of these charges - let alone an obstruction charge against Trump. As to your hope for revelations of "significant dirt as to wheat went on in the White House" - look no further than the FBI and DOJ. Plenty of dirt and collusion there!